After last year’s Munich High End show Jonathan Valin, Julie Mullins, and I visited the headquarters of AVM in Malsch, Germany, a few hours by car from Munich (well, it was a couple of hours at 170kph on the Autobahn). 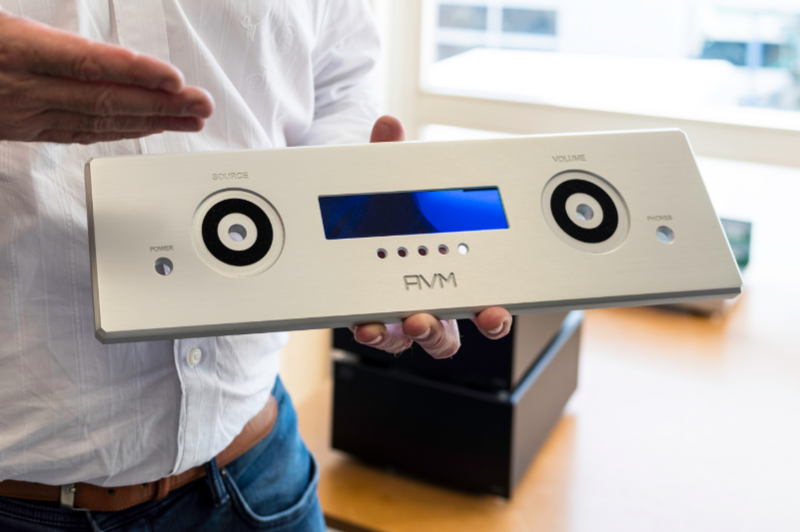 AVM may be a relatively new name to North American audiophiles but the company has had a large presence in Europe since its founding in 1986, first within Germany then in Austria and Switzerland, and beyond. Started by two engineers, Robert Winiarski and Gunther Mania, AVM found early success with its M1 mono amp (more than 10,000 pairs were sold in Germany alone). 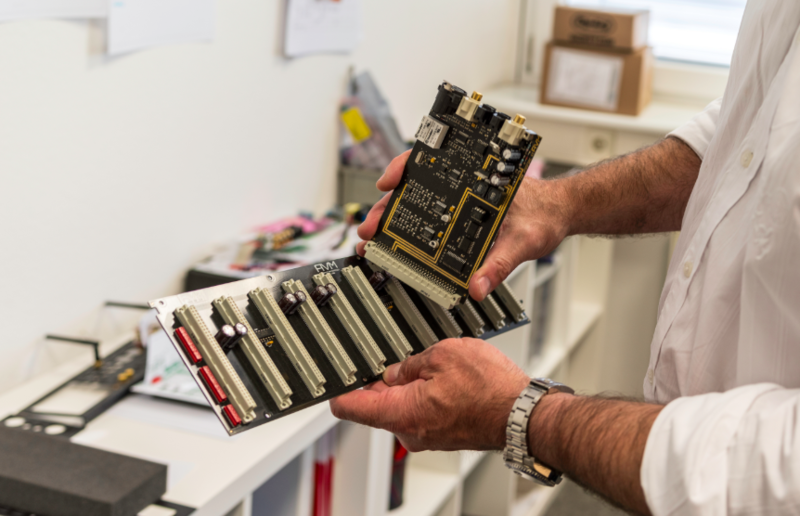 The two founders sold the company to Udo Besser (formerly the GM and co-owner at Burmester) in 2010 and are now semi-retired; they work on new designs and enjoy servicing the many legacy products in the field. Since the change in ownership and concomitant infusion of capital, AVM has expanded its product offerings as well as its distribution. AVM began exporting to Asia and North America in 2010. 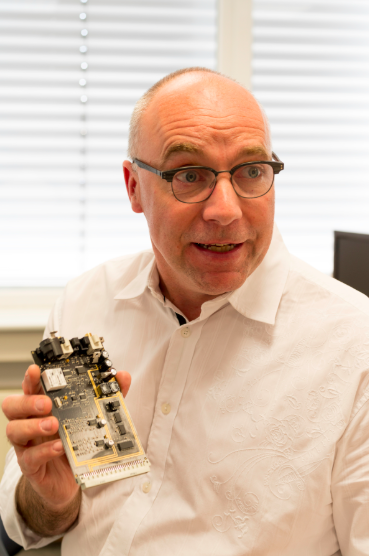 The company’s goal is to bring high-end performance, modern functionality, and German engineering to relatively affordable components. Today’s AVM line encompasses a whopping 27 products, divided into the entry-level Inspiration, the mid-level Evolution, and the top-end Ovation series. To provide such a wide product range while keeping costs down, many of the amplifier and preamplifier sub-systems are built on interchangeable modules designed for more than one product. The gorgeous chassis, all made from aluminum at a machine shop in nearby Baden-Baden, also share some parts including front panels (with small variations among products). It’s a clever way to deliver higher value to customers. Touring the factory, which employs 18 people, we saw AVM’s philosophy at work. The products are built by German craftspeople and undergo thorough testing at many stages of production. The top Ovation models are gorgeous inside and out, with black circuit boards made from a proprietary material, knobs that rotate on ball bearings for a solid feel and longevity, and the option of an all-chrome case. Many of AVM’s products offer advanced digital features including streaming DACs, wired or wireless network connection, UPnP, Internet Radio, DLNA-compatibility, and integral Tidal and Qobuz in a custom music-management app. AVM offers free software updates to older products to keep them up-to-date. Although they incorporate the latest cutting-edge features, many AVM products can be had with the choice of a tube or solid-state output stage. 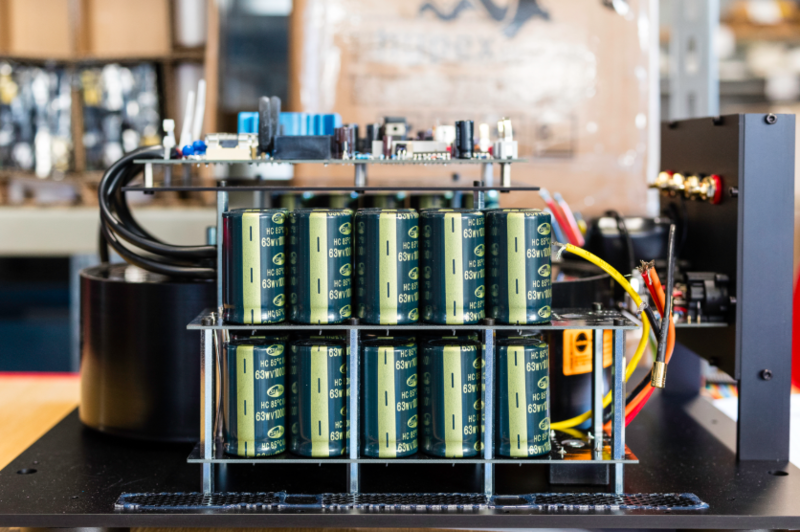 The company has a soft spot for tubes—even going so far as to develop a valve of its own called the AVM 803T (an 803 double triode with a very long anode)—and has developed sophisticated circuitry for optimizing valve performance, including the ability to continuously compensate for tube aging. Another interesting feature: If you own, for example, a PA 8.2 preamplifier ($9990) with a solid-state output stage and decide to switch to a tube output (a $2500 option), the PA 8.2’s software automatically recognizes the tube stage and changes the start-up sequence so that the tube is brought up to temperature before the muting relay closes and you listen to music. Having made its reputation with the M1 mono amplifier mentioned earlier, AVM has created a newly updated version of the M1 that’s built with modern parts and based on the circuit topology of the top-of-the-line Ovation 8.2. The new amp, called the Classic 30—in honor of the company’s 30th anniversary—outputs 220W, has a 200kHz bandwidth, and will sell for just $4000 per pair. AVM also plans to produce a full series of affordable products, called the 30 Series.